This sounds very much like post hoc fabrication to me. Whilst I can’t say for sure how this phrase was coined, nor can I disprove an anecdote from the intelligence community itself; this kind of claim is not likely to have left any written evidence, and if it had, it would likely still be classified! But there’s a tangible reason why this is very likely untrue. 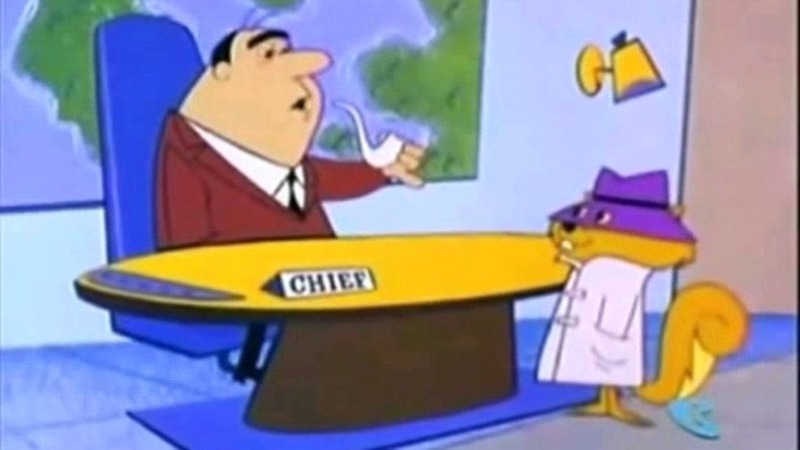 As people of a certain age will know, there is an old cartoon series about a spy squirrel, called, er, ‘Secret Squirrel’. It must be at the very least contemporary with the source of this tongue-twister explanation, since he was not himself of WW2 vintage, but had allegedly heard it from someone who was. For what it’s worth, I was using the phrase in daily speech well before I read this new rather redundant explanation. It’s an obvious thing to call spies. So I very much doubt that a tongue twister had anything to do with it, and if I had to speculate myself, I’d say this guy has been sold a shaggy dog story (or perhaps the original teller believed it himself, who knows?). Anyway, I thought I’d point out the (to me) obvious real origin in case this new version grows ‘legs’ on the internet.